The 2018 Coolmore Classic results will be known shortly and we can’t wait for a massive afternoon of racing at Rosehill Gardens. The Coolmore Classic is the only Group 1 anywhere in the country this afternoon and it is an extremely interesting betting race. It is Chris Waller-trained Egg Tart that is currently a clear favourite in the 2018 Coolmore Classic betting market with Ladbrokes and there has been a great deal of support for the two-time Group 1 winner, but there has also been money for promising Godolphin filly Raiment ($7.50), Ron Quinton-trained Dixie Blossoms ($8) and last year’s unlucky runner-up Silent Sedition ($9). We will also have a clearer picture of the 2018 Golden Slipper final field following the running of the Magic Night Stakes and the Pago Pago Stakes, which include leading Golden Slipper contenders Sunlight and Written By. Don’t miss out on all the action at horseracing.com.au this afternoon! Multifacets returned to winning form with a tough effort in the Catanach’s Handicap at Rosehill Gardens this afternoon. Glyn Schofield elected to settle Multifacets right on the speed in the early stages as Cyrus Rocks set a very strong tempo and that proved to be the difference. The well-backed favourite All Too Soon savaged the line, but she got too far back and could finish no better than second. Auvray finished over the top of his rivals to win the 2018 Sky High Stakes at Rosehill Gardens this afternoon. 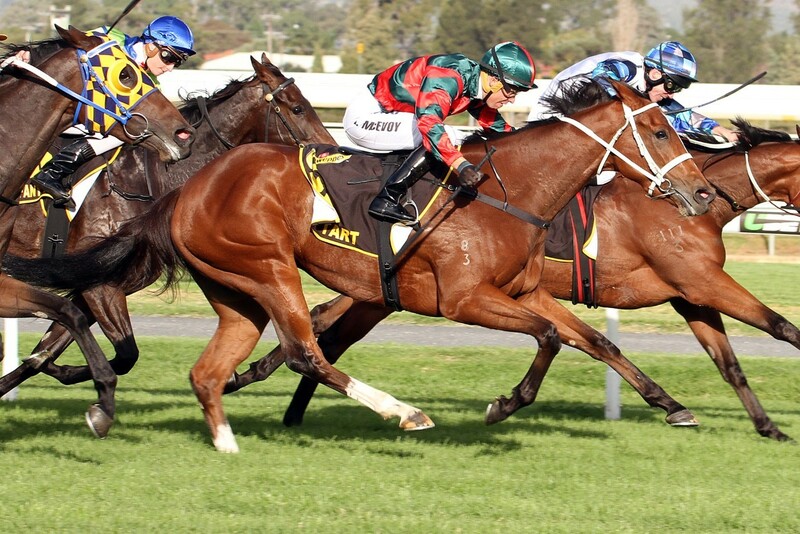 Stampede took up the running in the early stages of the race and looked set to fight out the finish with Libran, but it was Auvray that showed the superior turn-of-foot down the outside of the track. Auvray will head towards the 2018 Sydney Cup at Royal Randwick on the second day of The Championships. Sunlight will go into the Golden Slipper as one of the leading contenders after she recorded a comfortable win in the 2018 Magic Night Stakes at Rosehill Gardens this afternoon. Jockey Luke Currie took Sunlight straight to the front in the Magic Night Stakes and she never looked like getting beaten in the Group 3 event. She will back-up in the Golden Slipper at Rosehill Gardens next week – just like she did when she won the Magic Millions Classic in January. 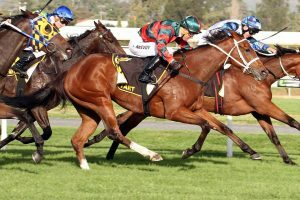 Written By fought-off a gallant Sandbar to maintain his unbeaten record in the 2018 Pago Pago Stakes at Rosehill Gardens this afternoon. Jordan Childs took Written By straight to the front in the early stages of the Pago Pago Stakes, but he was quickly challenged by Sandbar at the top of the straight. It was a ding-dong battle between the two horses, but it was Written By that prevailed and he will go into the Golden Slipper as one of the leading contenders. Dothraki finally returned to the winner’s stall after winning the Maurice McCarten Stakes in the stewards room. Sprightly Lass took up the running and ensured that the race was run at a brutal tempo. Sprightly Lass got the wobbles in the final stages of the race and it quickly became clear that she interfered with Dothraki, which cost him the race win. Unforgotten finished over the top of Holy Snow to record a strong win in the 2018 Phar Lap Stakes at Rosehill Gardens this afternoon. Holy Snow hit the front at the 150 metre mark and looked as though he had the race won, but Unforgotten savaged the line in the concluding stages. The Vinery Stud Stakes looms as the next race start for Unforgotten and the Australian Oaks could still be on the agenda. Daysee Doom produced a gallant effort to deliver Ron Quinton another win in the 2018 Coolmore Classic at Rosehill Gardens this afternoon. Quinton won the Coolmore Classic on two occasions as jockey and he has now won the race three times as a trainer. Andrew Adkins timed his run to perfection on Daysee Doom and he was rewarded with a maiden Group 1 victory. Comin’ Through finished over the top of his rivals to record a narrow win in the 2018 Ajax Stakes at Rosehill Gardens this afternoon. In-form jockey Michael Walker gave Comin’ Through a lovely trail into the race and he peeled the half-brother to Criterion out at the top of the straight. Tom Melbourne loomed on the outside and looked as though he would finish over the top of his stablemate, but he simply could not get past his stablemate.